This is GOOD, real good. I tried making it two ways with the bacon, and without the bacon for my vegetarian friends, and it was delicious both ways. 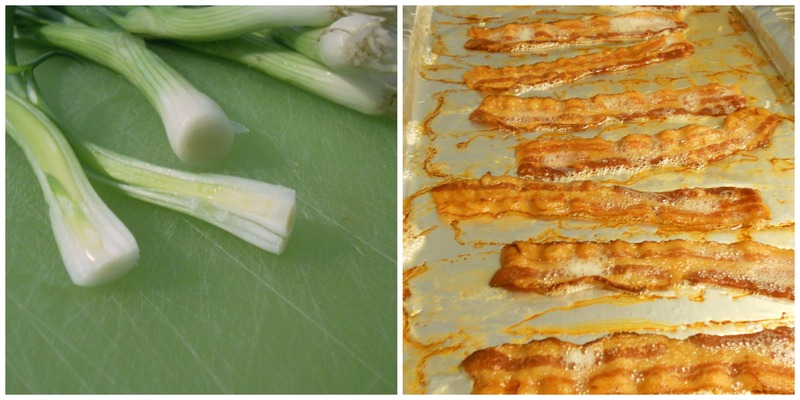 When making without the bacon I used an additional scallion. Really, seriously either way, it’s amazing! And since it has bacon in it, that makes it acceptable for breakfast, right? I kind of want to put a fried egg on top, am I crazy? 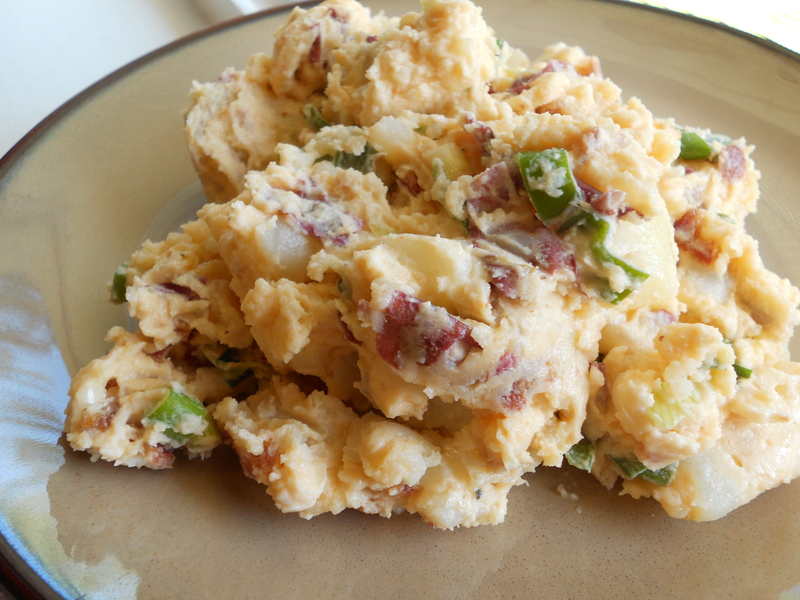 Seriously, this Potato Salad is good! The potatoes will come to a boil, let them cook at that covered boil till the timer rings. You may need to adjust the heat to medium/high depending on your stove. Again just let them boil covered, no need to stir. I start the timer from when I turn the burner on, and this always works for me. 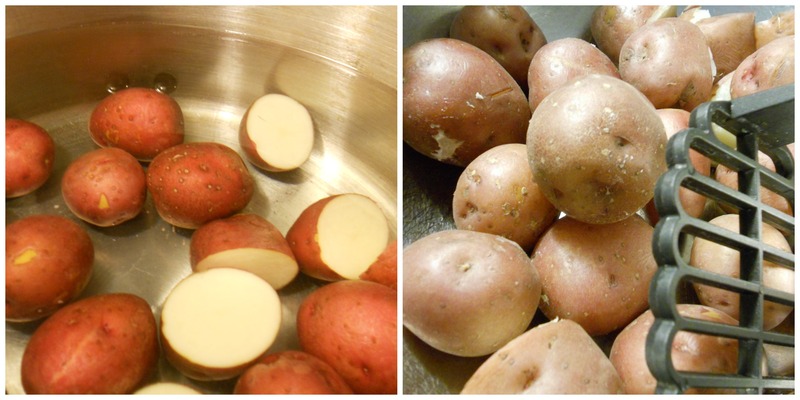 If you want to test for doneness, pierce a potato with a knife, if should slip off easily. That is it, your done! 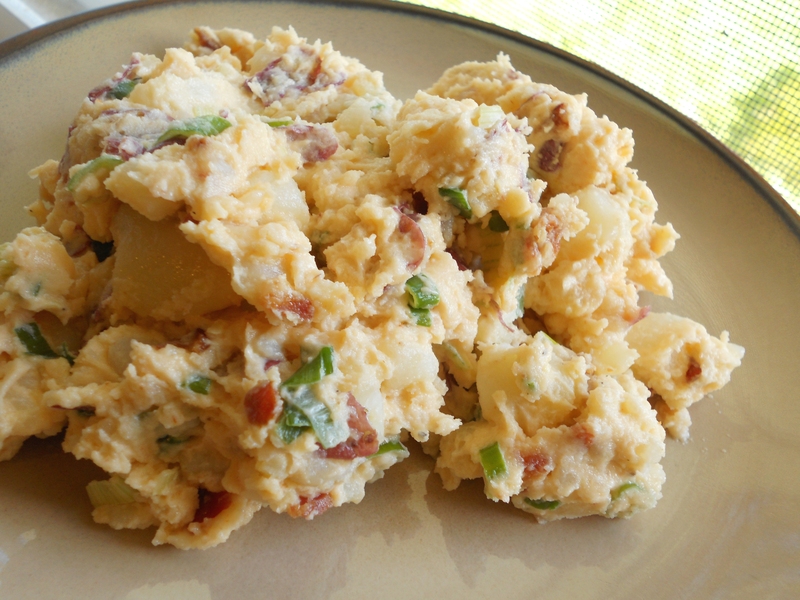 Stick in a spoon in the amazing sriracha potato salad you just made, and eat up! 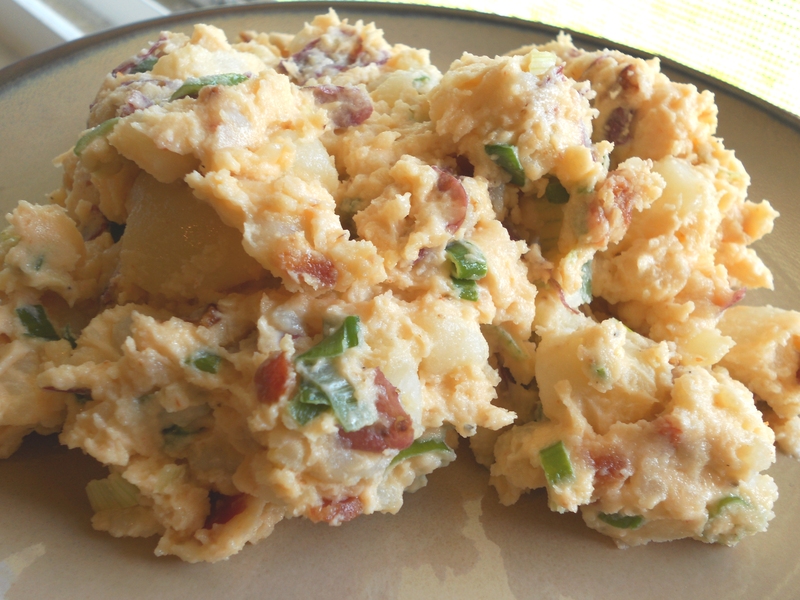 This entry was posted in food, recipes, Salads, Summer and tagged bacon, bacon potato salad, food to bring to a picnic, picnic ideas, potato, potato salad, siracha, siracha bacon potato salad, siracha mayo, siracha potato salad, summer salad. Bookmark the permalink. Lindsey just mentioned this last night….I think this will be on the menu sooner than later!!!! She must have see the post where I announced it, I’m glad she did, because you definitely need to try this Ted! Oh, wow! This looks delicious. I have some super-garlic flavoured sriracha sauce that I’d love to use for this recipe. Emily that sounds delicious! Let me know how it comes out! Whoa wow wow wowzers. I have no words. I am hungry, wow. Thank you Marnley!! I can tell you, this is GOOD… Once you have it you will never be the same!! And once you try potato salad with the potatoes beaten up as opposed to cutting, you will never go back to “cut” potatoes ever again! Pingback: 21 Things That Happen When You Don’t Eat Meat - zdouf! Hmmm a lot. I really never measured but it definitely serves a lot!